Discovery Tours and Events Ltd - hereinafter also referred to as "we" or "us" or "Discovery Tours and Events Ltd" - is committed to protecting your privacy in accordance with our obligations under data protection legislation. The current data protection law is found in the Data Protection Act 1998 but with effect from 25th May 2018, the main data protection law will be the General Data Protection Regulation as supplemented by the Data Protection Act 2018 and related laws. 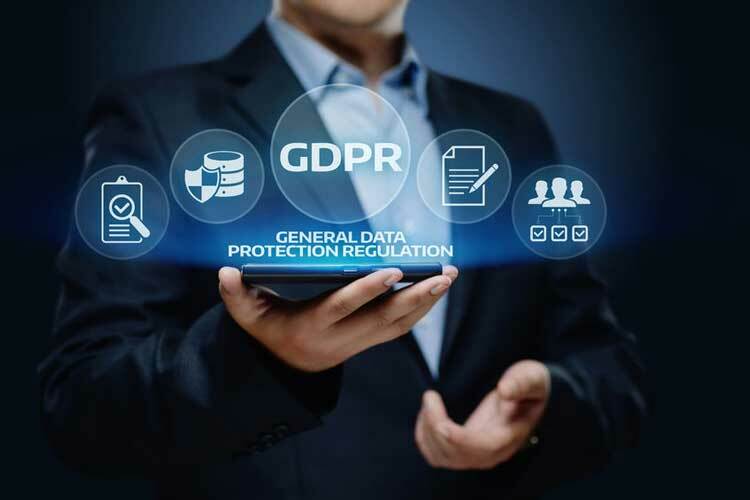 Firstly, as a company (Discovery Tours and Events Ltd), is a controller of personal data under the terms of the General Data Protection Regulation 2016 (GDPR), but we do make use of third party services as processors of your information. Details of these third party providers, and links to their privacy policies, can be found further down this page. We take your personal data extremely seriously and we will only ever use any information (such as your name, telephone number or email address) that you provide us with to contact you for purposes to do with any tour or service that you have booked with us. These include, sending you a confirmation of your booking, sending you a reminder of a tour that you have booked with us 24 hours before the designated start time of the tour, phoning you on the number you provide us with to offer assistance, should you not have arrived at the tour starting point at the designated starting time, notifying you of any changes to our scheduled walks, or sending you because you have requested it, one of our walk summaries, free walks, eBooks, quizzes and treasure hunts. We will also email you with any notifications of changes to our free services, albeit we will only ever notify you of these changes by email. In addition if you have requested to receive our monthly list of free things to do in London, we will use your email address to send this to you via our data processor Mailchimp. These are the only circumstances under which we will contact you - as we hate spam as much as you do and we simply do not engage in it. You have the right to ask to see and/or amend or delete any of the personal details we hold on you, and details of how to do this can be found further down this page. In summary, when you book a tour with us, we will ask you for your name, number of places, email address and phone number. These will only be used to confirm your booking, to contact you to notify you of any changes or to offer assistance should you be running late and have not checked in when the tour is about to depart. We will not pass on or sell any of your details to third party marketers or companies, nor will we use your personal data to pester you with special offers or marketing emails. GET A CUP OF TEA OR COFFEE AND READ ON! For the purposes of full compliance with Data Protection Laws and specifically the General Data Protection Regulation 2016 (GDPR), which takes effect on and from the 25th May 2018, we list below, in the interest of full transparency, how we treat personal data which we receive from you. Whenever you provide us with any personal details we have a legal obligation to use your information in line with all applicable laws concerning the protection of personal data; including the Data Protection Act 1998 (DPA) and The General Data Protection Regulation 2016. Our company is Discovery Tours and Events Ltd.
We are a UK Registered Company, Registration Number 05005842. Our email address is admin@londondiscoverytours.co.uk. Our phone number is 020 8530-8443. We provide guided walking tours on foot in London and treasure hunts around London. Should you have any concerns about information we might hold on you please either phone, email or write to us, using the information provided above and address your correspondence, or ask to speak to the Privacy officer. When someone visits our website, we use a third party service, Google Analytics, to collect standard internet information and details of how visitors behave in relation to our website. This information is processed in a way that does not identify the person, or the persons, who visited our website. When you book a tour, or any other service, with us, we will ask you to provide us with the following information. 2. The date you wish to book the requested tour for. Your postal address (if you are requesting a service that we have to mail to you). Your contact phone number, either landline or mobile. Since we operate a guest list for all our tours and services, we add your name to the guest list for the date on which you have booked your tour or service with us. We also keep a record of your phone number and email address in the event we need to contact you to notify you of any changes to the tour you have booked. This data is used for operational reasons it would not be possible to provide our services efficiently without the data. You will provide us with your information by way of our booking forms or shopping carts, all of which are fully secure (you will see the little padlock in your browser at the top of the page). When you visit any of our websites, we will also collect technical information, such as the Internet Protocol (IP) address used to connect your computer to the Internet, your browser type and version, your time zone setting, your operating system and platform. You can find full details of how Cookies are used on our dedicated Cookies Page, which can be found here. If you phone us for information, we may take a record of your name, phone number and email address. These records will be stored in our office and, unless you request further or regular communication with us, these records will be shredded at the end of each month. If you book a private tour with us, we will request your name, organization, phone number, postal address and email address. This information will be stored on a secure server operated by one of our Data Processing partners, Zoho, Wufoo or Send Owl. In addition, your name and contact mobile phone number will be passed to the guide for your tour on the day of the tour, and it will be kept by them only for the duration of the tour, after which it will be deleted. When we invoice you for a private tour, your name, organisation (if applicable), phone number, postal address and email address will be on the invoice. Again, all our invoices are stored securely online and are only shared with our Accountants (Alan Patient and Co, South Woodford), for the purpose of preparing our annual returns, and, if requested, by HMRC. Other than these aforementioned instances, your private details will not be shared with any outside parties in any way. Although you pay for the tour using a credit or debit card, or a Paypal account, this information is processed by Paypal or Shopify, and none of your financial details (credit card number, expiry date or CSV number) are sent to us. Paypal or Shopify will keep a record of the data you provide, and this will be used by us should we need to make a refund should you request one. However, we do not see, nor have access to, your actual credit card information. The use of your information is necessary for us to be able to fulfill the contract that you enter into with us. When you make an online booking, for example, we will use the information you provide us with to carry out our obligation to complete and administer that booking. Without collecting this information we would be unable to fulfill our contractual obligations to you. We are dedicated to customer satisfaction and realise that, in providing us with personal information, you have placed a great deal of trust in us. Therefore, we will never abuse your trust and will only use your information to provide you with the tours and services you have requested from us and booked with us. YOUR NAME:- Your name is placed on our guest list for the date and tour that you have booked with us. We will also record the number of places you have booked. YOUR EMAIL ADDRESS:- Your email address is used to confirm your tour booking. We will also send you an email reminder 24 hours before the tour that you have booked with us is due to depart. We will also use the email address to notify you of any changes to the tour, or of any known problems on the tube such as line or station closures. YOUR PHONE NUMBER:- In the event of last minute changes to your tour, we ask that you provide us with a mobile phone number, or a landline number, at the time of booking so that we can call you should anything change or occur directly before the tour begins. We will also call you to see if you need any assistance should you not have arrived and checked in at the tour's designated start time. RICHARD'S LIST:- Each month Richard Jones, your walking tour guide, compiles a monthly list of 10 free things to do in London, which is then sent out to you at the email address you have provided us with. At the time of booking your tour with us, you have can choose whether or not you wish to receive this monthly resource. You must give your consent and opt-in to receive this list by ticking the required box. In addition there is an opt-in form on the website, but, again, you have to opt-in to give your full consent to receive this monthly list. The list will, also include details of which tours Richard will be conducting during the month. We will keep your information within our organisation except where disclosure is required or permitted by law or when we use third party service providers (data processors) to supply and support our services to you. We have contracts in place with our data processors. This means that they cannot do anything with your personal data unless we have instructed them to do so. They will not share your personal data with any organisation apart from us. They will hold it securely and retain it for the period we instruct. The organisations we use to store data are:- Bookeo, Paypal; Gmail; Mailchimp and Send Owl. Other than the above mentioned data processors, we will not share your personal information with or sell it to any other third-party services or marketers. Facebook, Twitter, Google Plus, Instagram and Pinterest. Any information shared on our social media channels is subject to the individual privacy policies of each of these external services. Our website (and Richard's monthly list) may include links to third party websites that are not controlled by us. In the event of visiting these websites please be sure to check their Privacy Policies as our policy will not apply. Under the General Data Protection Regulation, you have the right to request a copy of any personal information we hold about you. You can review this personal information that you have provided us with and make any desired changes to your information at any time by contacting our Privacy Officer, using the above details. You can also request that we delete any or all of the information that we hold on you, and your request will be complied with within 24 hours. You can also unsubscribe from Richard's Monthly List of free things to do in London by clicking on the unsubscribe button which you will find at the foot of any email you receive with regards the list. Additionally, you can contact us by any of the other above methods and ask to be removed from the list, and we will remove you from the list of subscribers immediately. We are committed to meeting the highest standards when collecting and using personal information. For this reason, we take any complaints we receive about this very seriously. We ask that you bring it to our attention if you think that the way in which we collect or use your information is unfair, misleading or inappropriate. We would also welcome any suggestions for improving our procedures. Should you wish to make a complaint we promise that we will deal with your concerns promptly and with the utmost courtesy. If, having contacted us, you are not fully satisfied with our response, then you can further complain to the Information Commissioners Office (ICO), the statutory body which oversees data protection law. Their "report a concern" page can be accessed here.